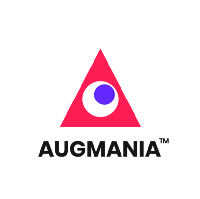 Augmania is a platform for AR content creation without coding. The curated content is published via URLs and runs on mobile browsers without Apps. We’re building a 3D media platform to create, navigate, modify and share interactive 3D spaces for multiple industries, including real estate, travel and VR. World Traveler, Board Member @WorldCommForum and @FreeNPTech, Global Keynote Speaker, #GivingTuesday Ambassador; producing a film with @RashaGoel. Visionary Entrepreneur and Investor in Augmented Reality, Virtual Reality, Mixed Reality and Disruptive Technologies. Digital & social media marketer. Tech & data enthusiast. Creative complainer, craft beer geek. I accept bribes.